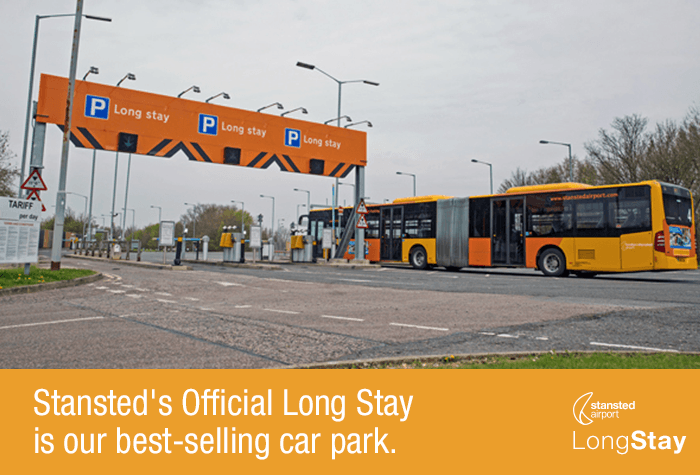 We didn't think people thought about their Stansted airport parking before booking their holiday but Stansted Long Stay is so smooth, so efficient, so easy to use, that one customer actually told us she might fly from Stansted just to use it again. Maybe she loved the great prices - it's almost always our best value car park at Stansted - or maybe the award-winning security. Or maybe, like most of our Stansted Long Stay customers, she was just happy with everything. Book early and Holiday Extras will find you the best deal available with our saver offers. Tickets are non-amendable and cannot be cancelled but as long as you are sure of your dates and times, Stansted Long Stay Saver is a great way to save even more money before your holiday. Use our search to find the best deals available. And the savings don't end there! Holiday Extras can bring you an exclusive shorter stay discount too. For bookings between 1 to 5 days duration, we can offer you the same daily rate as for longer stays. This would only normally apply to parking for 6 days or more. Perfect for those short breaks! *Please note: Prices are for 1 weeks parking and correct at time of writing. I used you to book parking at Stansted. the service was brilliant. got to the gate recognized the car and let me in. parked. then same on the way out good value for the money. Car park was stress free and easy. The bus service was excellent. Will definitely use again. Stansted long stay carpark - ANPR didn't recognise number plate, exit barrier machine requested £172 to leave. Pre booked price paid was £50. Needed to request assistance to exit car park. Good value. Car park was easy to find. Bus arrived quickly. Bus stop just outside terminal, quite a busy bus, but good commentary from driver - so we knew where to get off. Our customers rated Long Stay on average 9/10 (10739 reviews). Read Long Stay reviews. Brilliant security and peace of mind at the airport's Official Long Stay car park. It's our best-selling, just 15 minutes from check-in. 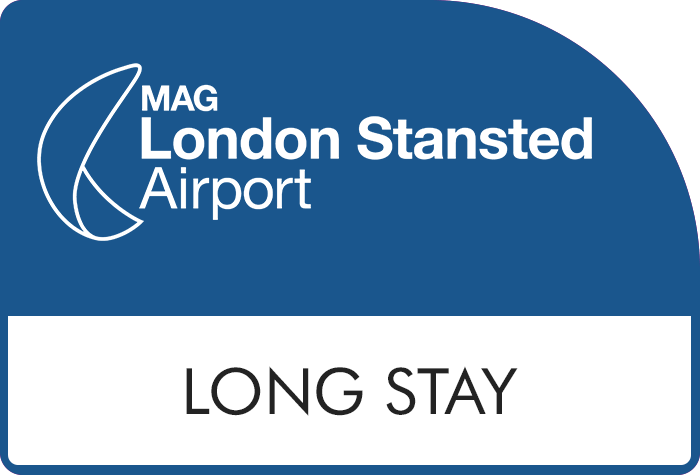 Official Long Stay at Stansted airport is our customers' consistent favourite. You'll be parking in an award-winning car park on the airport grounds, just 15 minutes from the terminal. Park your own car and keep your own keys, all for a great price. "A smooth and seamless service" is how one of our customers described Long Stay. That might explain why 99 percent of them would book again. 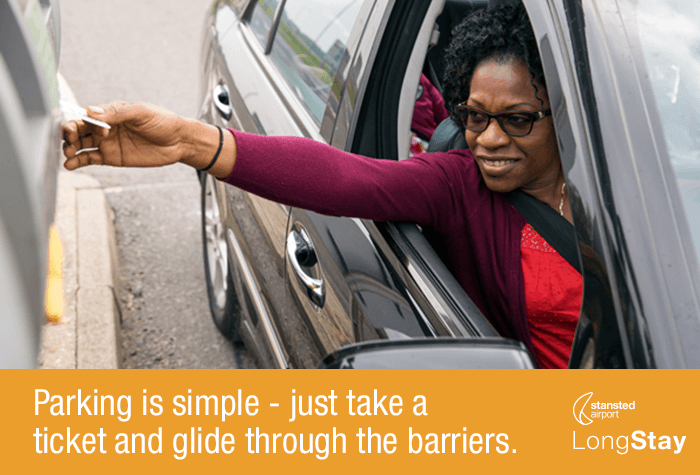 Long Stay is in the airport grounds, so you can park with peace of mind. 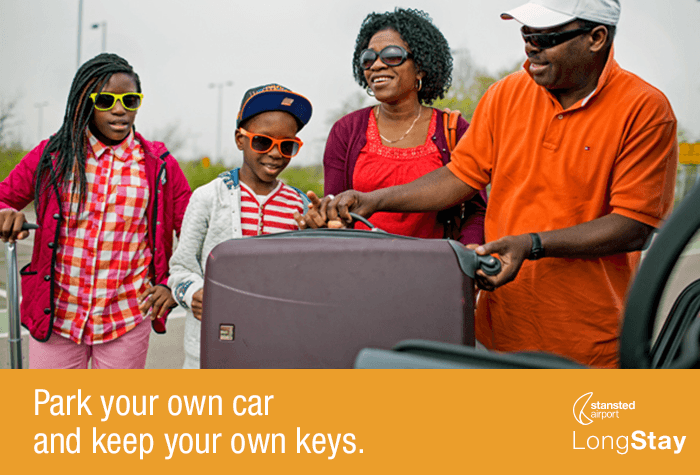 Since you'll keep the keys, your car will stay exactly where you left it while you're away - all you'll have to do is remember where you parked. Your car will be well looked after in the secured Long Stay car park - after all, it is an Official Stansted airport car park. 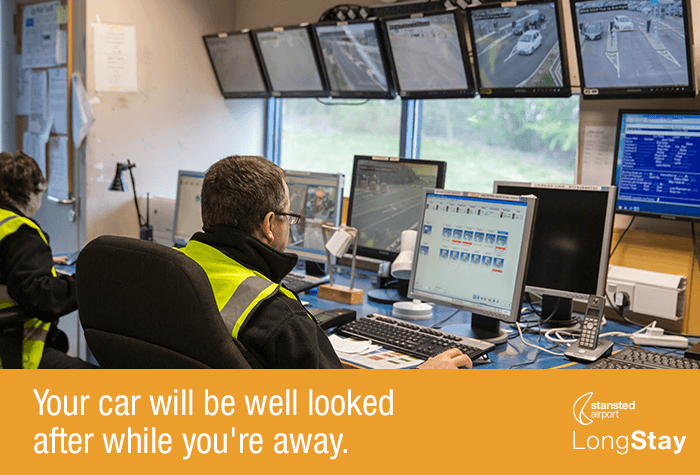 It has CCTV, security fencing, regular site patrols, lighting at night and it's manned 24 hours a day. It's even been awarded the Park Mark by the police for safer parking. So while you're away you can relax and focus on the start of your holiday. You won't waste time filling out paperwork or checking in at reception. 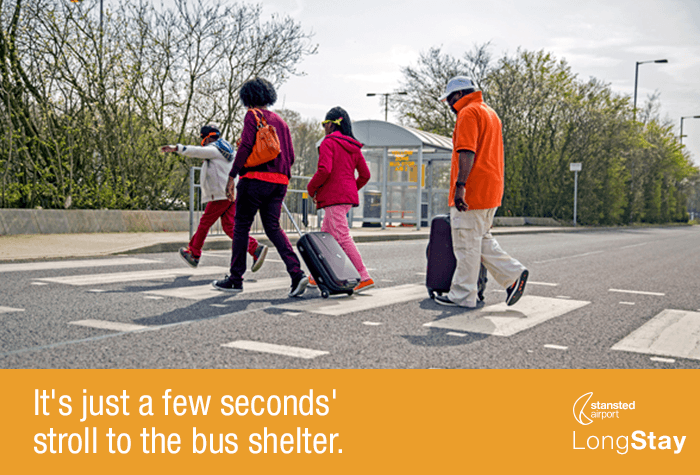 All you'll need to do is glide through the barriers, find a parking space and hop on the transfer bus. It's that simple. The long and short of it: Long Stay, but a short transfer. When you're ready to fly, you're just 15 minutes from check-in. 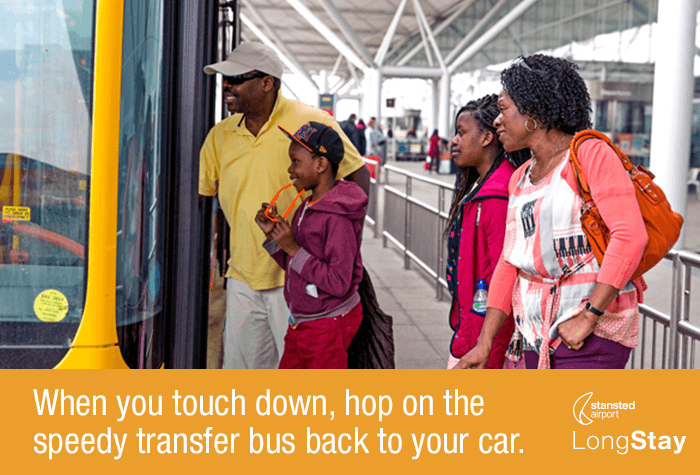 Just use the help point to request a pick-up and a speedy transfer bus will collect you from the bus shelter and whisk you off to the terminal; and the best thing is you won't have to pay a penny extra for it. 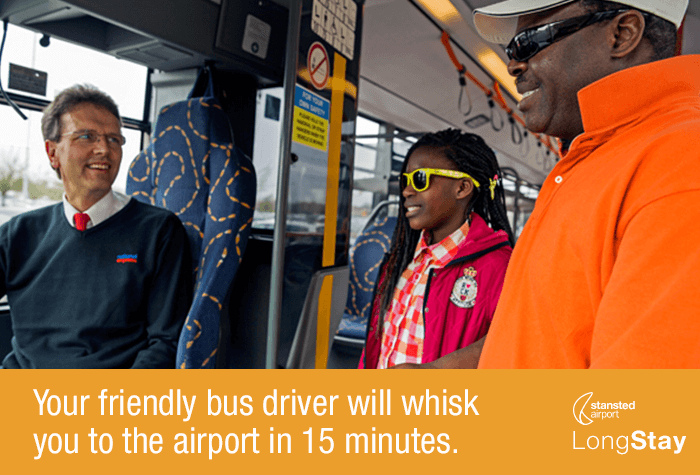 Transfers are included in the price and run every 15 minutes, 24 hours a day. Long Stay is wheelchair friendly. There are 26 bays for Blue Badge holders in zone Q. If signs are up saying these zones are closed, Blue Badge holders are still free to enter and park in the designated spaces. 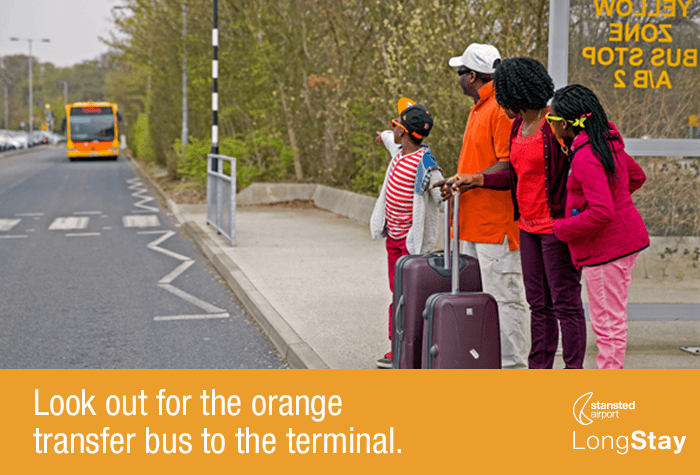 Just be sure to press the assistance button at the zones bus stop to ask for the bus to pick you up. The transfer buses are all wheelchair accessible. High vehicles and oversized vehicles should use zone Q. Trailers are not accepted at any of the Stansted car parks. When you arrive, the machine should take no more than about 15 seconds to recognise your number plate and give you a ticket. If this doesn't happen or you have any problems, just press the help button. Don't insert a credit or debit card or you may be charged again for your parking. The car park runs a bus to the airport every 15 minutes, it takes 15 minutes to get to the airport and is included in the price. When you get back, just catch the bus back to the car park from where it dropped you off.